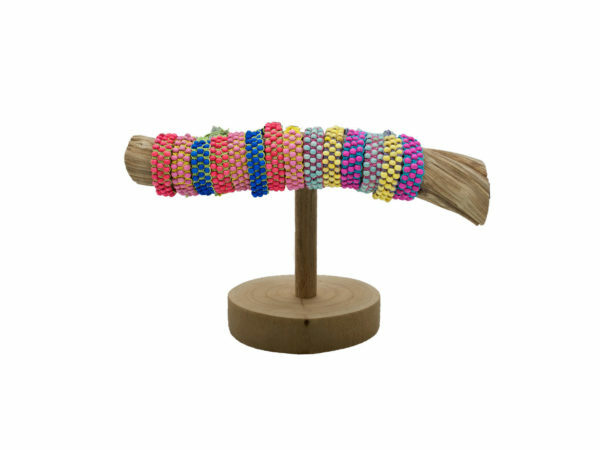 This Wooden Beaded Bracelet is perfect with almost any casual outfit and is sure to draw attention. This bracelet has an adjustable shambhala sliding knot design. Comes with round display stand, approximately 13" driftwood display, 36ct Wooden Bead Bracelets. © 2019 Ultimate Distributors LLC d/b/a "Jewelry Cheap Wholesale"